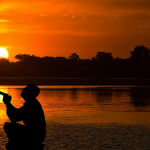 If you have decided that the person you are with is “the one” and you want to spend the rest of your life with them then you are probably thinking about popping the question. You may also be wondeing how to propose though. Should I get down on one knee? Here at Purely Diamonds, we don’t go in for the “a man must propose to a woman” way of thinking. 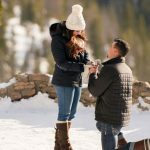 We know that women propose to men, men propose to men and women propose to women as well and this guide will be useful to anyone who is considering popping the question and we will always refer to your partner without mentioning gender. A proposal is going to be a memorable moment in a person’s life no matter when, how or where it happens so it is important to get it right and for the way you propose to fit with your partners’ personality. If your partner is shy and reserved, a proposal in front of a huge audience might not be the best idea for example. Hopefully we can provide some ideas for everyone to make a start on the most wonderful journey in life! Some people do not want to make a big fuss out of proposing, maybe you love each other, and you want to get married and that’s all there is to it! Of course, just because you are keeping it simple does not mean it can’t be romantic and memorable. A simple proposal could be quite spontaneous. You have decided you are going to ask and you could just pop the question randomly at a time you think is appropriate. The good thing about this approach is it is guaranteed to be a surprise to your partner as if you don’t know when you are going to ask, you can be sure they don’t know either! 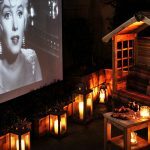 If you want simplicity but a bit more organisation, then you can plan to ask on a specific day or night at the perfect moment while doing something you both enjoy. If you have an interest, hobby or something you just enjoy doing together then you can ask in a specific place related to that. If you both love the football you could ask during or just after an important game. If you enjoy art, ask the question at your favourite gallery. If rock climbing is your shared passion, ask at the top of a mountain (ok getting a little out of the simple bracket there but you get the idea!). Basically, just keep it simple! If you want to go down the spontaneous route, don’t even think about it just say what feels right. Otherwise, write down a few words that you want to say to your partner at the key moment and memorise it. A couple of lines about how much they mean to you and then pop the question at the end is all it takes. What is and what is not romantic will vary depending on the persons’ personality but there are certain things that we can be sure tick the box. The location is important, good food, the words you say, choice of music (if applicable) and getting down on one knee is a must. You will need to have a plan for the day or evening you are going to ask and structure the time so that it builds towards the question and choose to ask them at the crescendo. Night time is generally more romantic than daytime and if you are in the right location for a beautiful sunset then that could be perfect. This is key to a romantic proposal. Firstly, it must be a place your partner loves. Their favourite restaurant could be an option if you are working on a budget. If money is less of a concern however then their favourite country or city is a good choice. If this means travelling abroad then pick the perfect location in their favourite country. Places like Paris and Venice are popular choices for their beauty, but it really is a personal choice dependant on what your partner likes. This is where you can really stand out from the average proposal. Words can be extremely powerful and you must choose them wisely. Some people may choose to recite some poetry. If you are not confident of your own writing skills, then you can use an existing poem. If you think you can do a good job yourself then go for it! Whatever you decide you must make sure you sum up how you feel about your partner and the love that you have for them. It is an old cliché but speak from the heart. Try to avoid clichés, we don’t want your partner wincing as you talk! 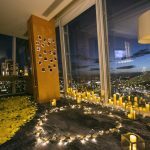 If you are the type of person that likes to make a statement, then you may want to take your proposal game up a gear and do something really memorable. Again, this is going to come down to your partner and what you think they would appreciate. There are many different ways you could go big on a proposal. Maybe you would like to do it on live TV or by spelling out “Will You Marry Me” in letters in the sky or by arranging a surprise party with everyone they know in attendance. Whatever you choose you will need some careful planning. When is not so important, it is the actual proposal that counts but as it will likely involve some serious organisation you should plan ahead. If there are other people needed for it to work then you need to check that they are available first. The options are limitless really but if you want to go truly extravagant it needs to be something pretty special. Famous landmarks such as the Eiffel Tower or Niagara Falls can work well especially if you can surprise your loved one by making it seem like a normal holiday. There are lots of options here but it is more about the manner in which you propose than the words you say. In fact, you may not be saying anything at all. Maybe the proposal will be spelt out at a sports game or sang to them by their favourite band or singer (if you can get them in on it!). Choose a place that will be special to your partner and make it happen no matter what the cost! Tradition dictates the person proposing should get down on one knee to ask the all-important question. 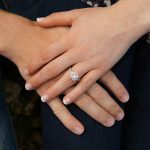 According to a study by The Knot, 87 percent still follow this tradition when they pop the question and surprisingly the percentage has increased over the last few years. We don’t think it is essential to bend the knee, it really comes down to how you, and more importantly, how your partner feels about it. If you know that they are quite traditional and would be disappointed if you didn’t do it then for sure you should. The biggest problem with getting down on one knee is it gives the game away before you have even said anything as there is literally only one possible reason for dropping to the floor! If you want to go for the element of surprise you may choose to skip this time-honoured tradition. 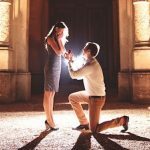 5 ways to ensure that your proposal gets a YES!